I made these date treats for my colleagues on my Birthday. The idea was to make something which doesn’t take too long to prepare, is a healthy snack with clean ingredients and is appreciated by everyone. Medjool dates are enjoyed by anyone who tries them. I have not yet heard of anyone who tried Medjool dates and hated them. 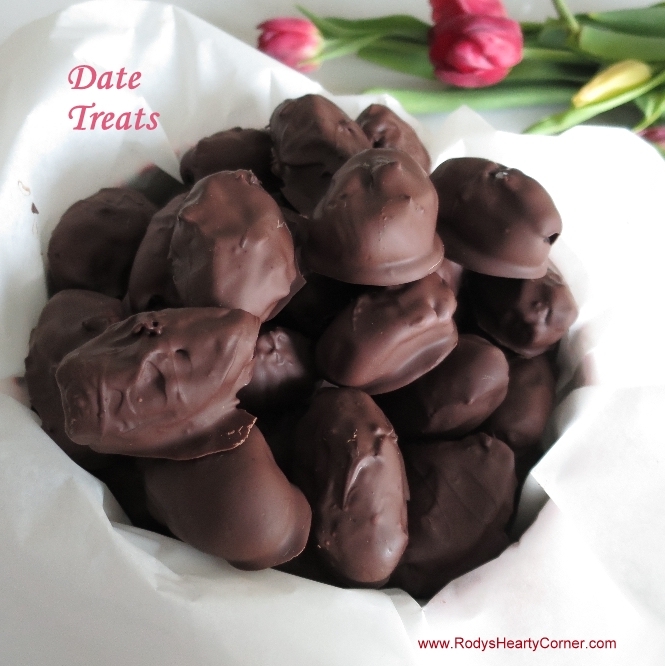 They taste like soft chocolate or caramel and have nothing to do with the traditional dates. Thus even serving them on their own is a good idea, but having them with an almond inside and chocolate outside is, of course, a big plus. They will also fix any sweet tooth. An easy and delicious dessert! 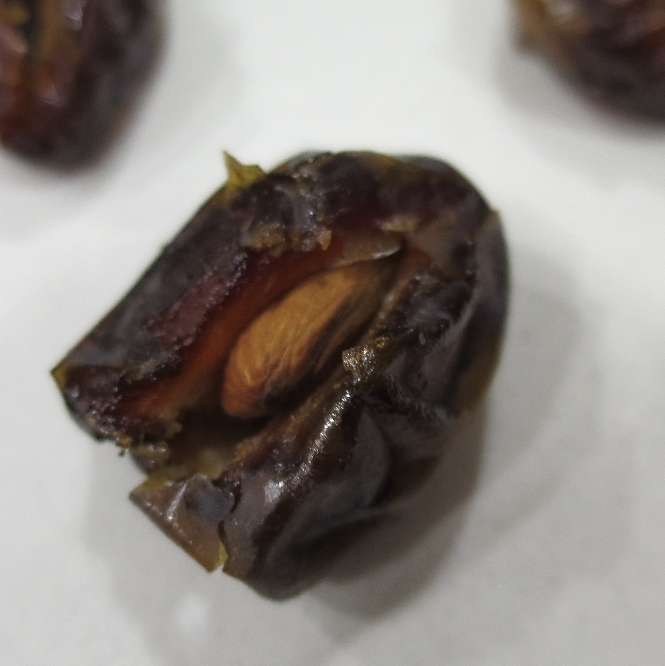 Prepare the dates by running a knife through the side and taking out the seed and the small dry bit at the end. Insert a roasted almond inside the date. Melt the chocolate on double boiler (bain-marie / Banju Marija). Once the chocolate melts, immerse a date into the melted chocolate, make sure all sides are covered in chocolate and then remove with two kebab sticks. Place dates on parchment paper. Repeat for all the dates. Let the chocolate harden. Once chocolate is solid, you can store in the fridge or outside if not too hot.